Likud MK and son of former Prime Minister calls death penalty bill 'harmful and foolish proposal', vows to vote against it. 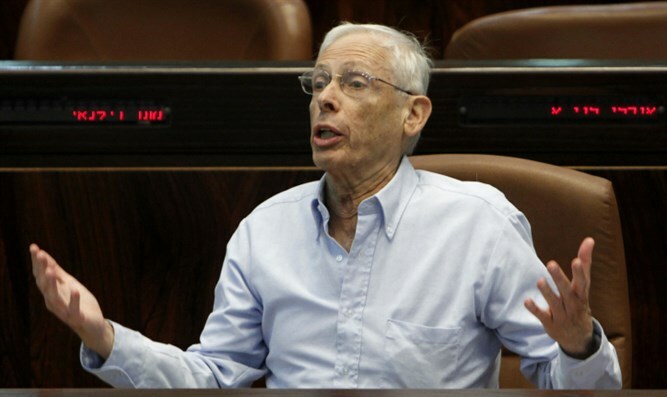 Likud MK Benny Begin participated in Wednesday morning's Knesset committee discussion on a proposal to make it easier for courts to apply the for terrorists, criticizing the legislation as "harmful and foolish". In a Knesset meeting this morning MK Benny Begin says he stands by his opposition to the death penalty, as he had 30 years ago when he first started at the Knesset. Under Israeli law, for the death penalty to be implemented it needs to be a case of high treason or specific circumstances that fall under martial law. It would also require a unanimous decision in panel of three judges. In the seventy years of Israeli sovereignty, there has only been one case of the death penalty being carried out. The solo case was in 1962, that of Nazi SS Officer Adolf Eichmann. During the Holocaust, Eichmann was one of those behind the final solution to annihilate the Jews. His job in the master plan was to facilitate the transportation of Jews from all over Europe to the death camps. A bill for the death penalty passed its first hearing in the Knesset back in January of this year. The proposed bill would only require a simple majority of judges to condemn a terrorist convicted of murder to death. MK Begin expressed his opposition to the law and attacked Justice Minister Ayelet Shaked, “What is a coalition agreement if it did not pass a ministerial committee?” speaking of the coalition proposed by Yisrael Beytenu Chairman Robert Ilatov. In 2017, Ilatov requested in a letter that the coalition, including the Likud pass the bill. Begin is the son of Menachem Begin, Israel’s sixth prime minister and leader of the Zionist paramilitary group, the Irgun, before the state’s re-establishment in 1948.